To find out your ideal frame size, you need two things: measuring tape and a calculator. Stand up straight with your bare feet between 15 and 20 centimeters apart from each other. Measure the distance between the ground and your crotch. Multiply this distance with 0,66. Round the result down, and that’s your ideal frame size. The distance between the ground and your crotch is 80 centimeters. 80, multiplied with 0,66 is 52,8. Your ideal frame size is 52. Still not sure what your frame size is? Visit one of our official Union dealers. Union Click & Collect combines the convenience of ordering a bike online with the service and smile of your local bike store. Select you favorite model and customize your ideal bike. 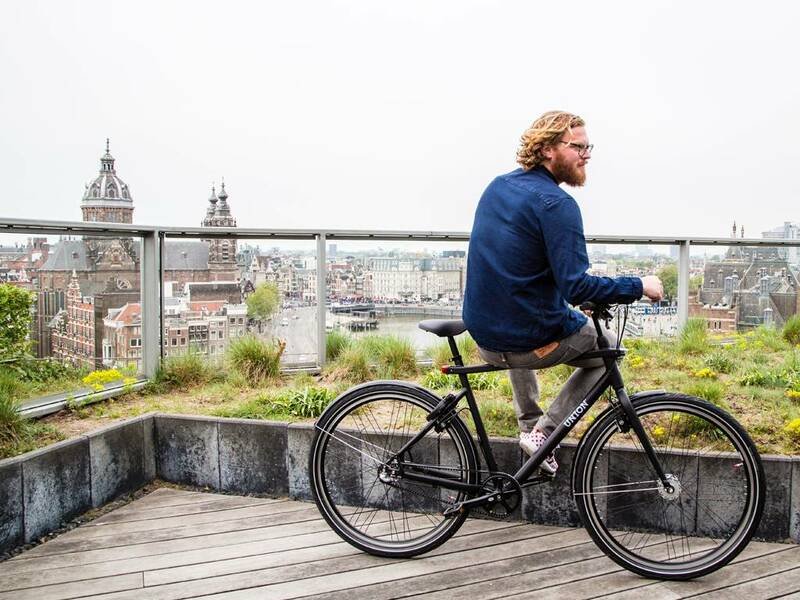 Now choose a local bike store in your neighborhood who will do the rest. Your local bike store receives the bike, assembles it and completely checks it for you. You can now collect the bike whenever you like and only have to ride into the sunset with your brand new Union bike. What do you really need in a city? The Union Lite. That’s what you need. Every part is spot on. 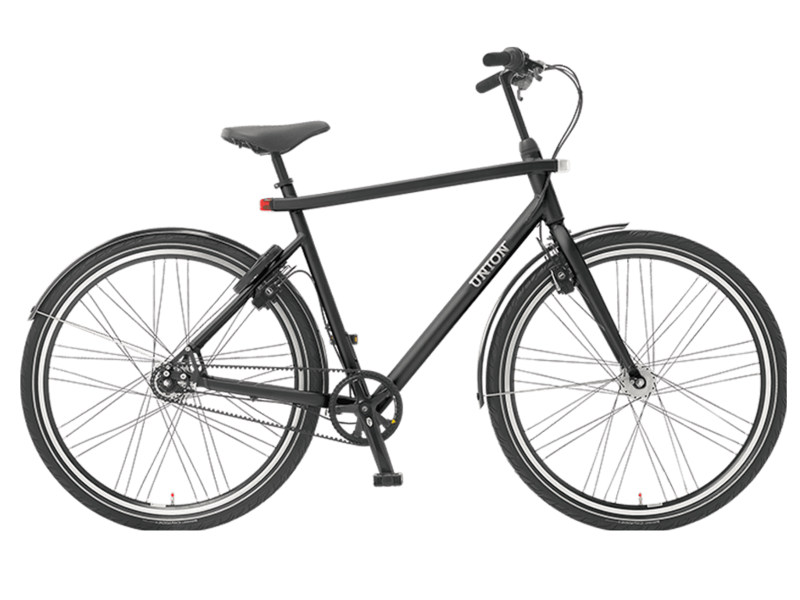 You can choose between two different versions: one with a traditional chain, one with a belt drive. Both are incredibly strong. With the belt drive, there’s no need to be afraid of oil stains on your pants. 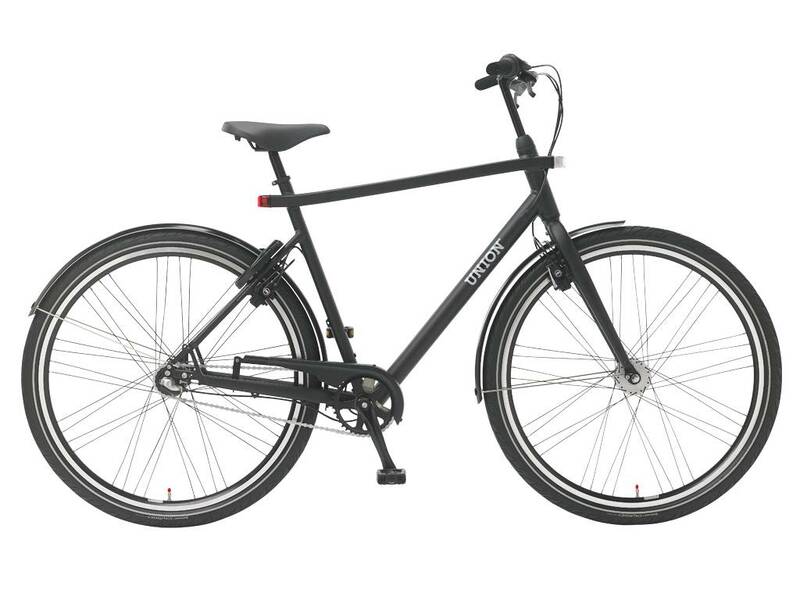 The ultra light aluminium frame makes sure every ride is super smooth. The lights are ingeniously clicked into the bike. 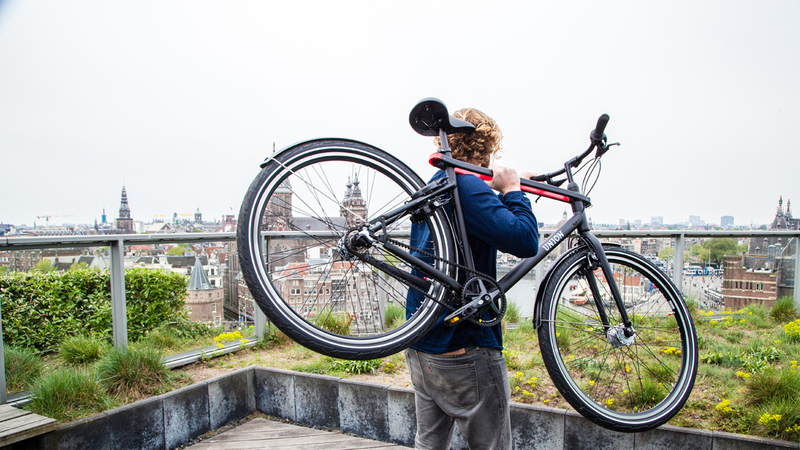 And the best thing: with that same click system, you can extend your bike with accessories. Do you need a carrier? Easy. Click. Bike! Of course. All our bikes have saddles, handlebars and wheels. But we choose our parts carefully. Only the best is good enough for you. Choose your model and prepare yourself for the ultimate urban lifestyle. Configure it, make it yours and you are almost there. Pick one of our specialized dealers and collect your Union.